Castro accused the U.S.-led Western alliance of promoting a “war of extermination” against the Russian Federation. 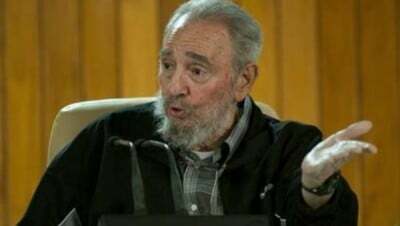 The former president of Cuba, Fidel Castro, this Wednesday accused the new NATO Secretary-General Jens Stoltenberg of promoting a “war of extermination” against Russia and described the military alliance as being “more extreme” than the Islamic State group. Stoltenberg took office as NATO chief October 1, and in recent statements he said that the Western military alliance’s plan to beef up its military presence in eastern Europe does not violate a post-Cold War deal struck with Russia on military force levels in the region. Tensions have recently increased between Russia and NATO because the U.S.-led alliance accused Moscow of meddling in the Ukrainian situation, a claim that the Kremlin has repeatedly denied.NATO boosted its military presence close to Russia’s borders, following Crimea’s reunification with Russia in March, specifically in Poland and the former Soviet Baltic states of Lithuania, Estonia and Latvia.